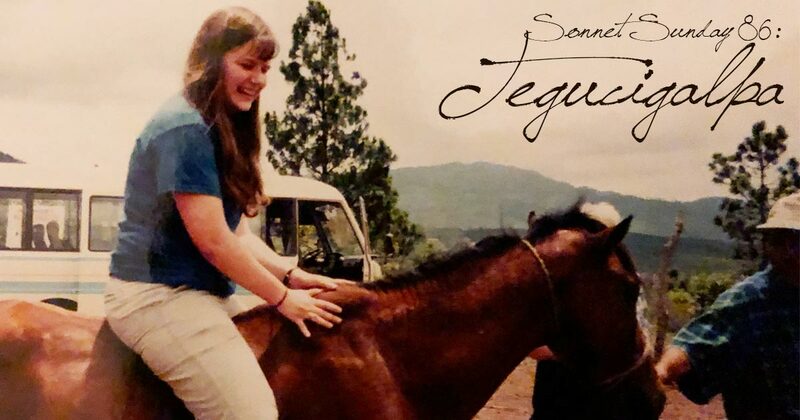 I had the opportunity to visit Honduras as part of a missions trip back in 2001. This was the fourth country I had visited; the year before I went to Mexico and Guatemala with the same organization, and we had spent some time in El Salvador prior to Honduras. All four countries were a bit of a culture shock to my upper middle class upbringing; most of the people I encounter who live below the poverty line still have a fair amount in terms of material possessions and creature comforts compared to many of those I met. For that matter, economics aside, living in Michigan with our cold winters means that our insects don’t get as big and we don’t have as many homeless people on the streets. We have feral cats, not feral dogs. Tegucigalpa, or at least the part I saw, was perhaps the poorest of all the cities I visited. The streets were largely dirt. Beggars were everywhere. In fact, many of us on the trip got mad when we weren’t permitted to share our lunches with the orphan kids; it was awkward to eat our umpteenth Burger King chicken sandwiches of the trip when people outside were begging for scraps. At one point, just before leaving, we met a man with a 6″ gaping wound in his arm, looking for money to go to the hospital. Our group’s nurse saw how scarred-over it was and told us later that a hospital wouldn’t be able to do anything for him anyway. And yet I fell in love with the city. Today’s poem, written for the 2017 Poem a Day challenge, will hopefully illustrate why. Systemically oppressed, with no escape. Through broken teeth and sunburnt, wrinkled skin. They opened up their city—shared it all.